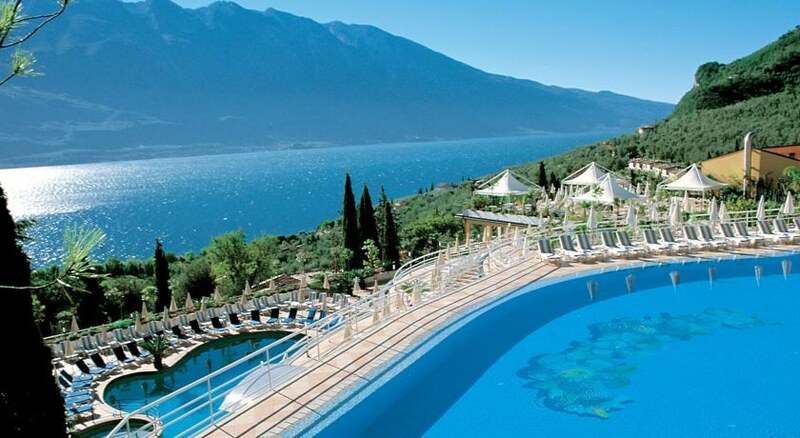 Welcome to the San Pietro - Limone sul Garda in Limone sul Garda. The hotel is located 1 km from the gravel beach. To make your stay more comfortable a lobby, an elevator, a reception, air conditioning and a lounge are available. The staff in this 2 storey hotel speaks English, German and Italian. 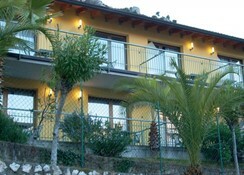 For guests who wish to be mobile, car rental and bicycle rental can be arranged. 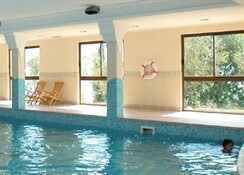 2 fresh water swimming pools, seasonally open are available. A poolside bar is on site at the hotel where guests can unwind with a drink. Sunshades and sunbeds are available free of charge at the pool. Distance from the hotel to: airport BGY (116 km), airport VRN (100 km), train station (34 km), Gardaland (84 km), Jungle Park Adventure (15 km) and Cascate Di Varone (13 km). 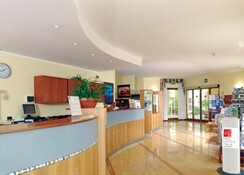 The hotel is within easy reach of city centre, tourist information, bars and restaurants and supermarkets. For your entertainment the hotel features a TV lounge. Vehicles may be parked in the parking lot and the garage. Amenities: For convenience the following services are offered: a safe, concierge and currency exchange. Internet access is provided at internet terminals. Reception hours: 24h Service. Meals: The breakfast type is Buffet and it is provided from 07:30 - 10:00. The hotel has 2 restaurants. 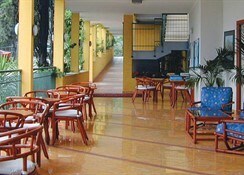 Sport and Leisure: A variety of activities are provided by the hotel such as billiards and table tennis. 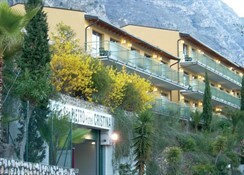 At San Pietro - Limone sul Garda recreational amenities include a whirlpool and a sun terrace. Golfers have the opportunity to play at the nearest golf course which is 80 km from the hotel. The hotel offers the following , for guests to enjoy (weather and season permitting): live music. Additional Information: Payment facilities include Diners Club, American Express, Euro/Master Card and Visa Card. Additional fees may apply for certain facilities, amenities or activities. City /Tourist tax is payable locally.